There are many ways to measure how successful a product launch really is. With over 60 launches under our belt in the pharmaceutical industry, at CMK Select we looked at all the launches we managed to come up with a Launch Success Model. LAUNCH PLAN: This is the key element of a Launch Success. A well-developed launch plan that incorporates all the cross-functional areas and highlights the dependencies between them, can make all the difference. A great Launch plan includes all the key milestones, dependencies, resources, budget and schedule that can be monitored, tracked and reported on. Managing a Launch Plan entails weekly reviews with the entire team and capturing status. Track to ensure the team is meeting milestones, and if falling behind the assess dependencies and do impact assessment. Lastly, act to bring the plan back on track with upper management. 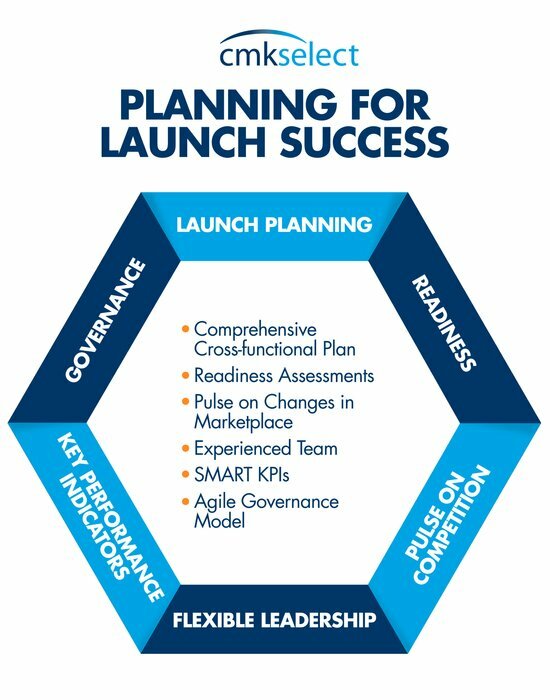 There are many tools available in the market to build the plan, however, launch management expertise and experience play a critical role in ensuring a top-notch Launch Plan. READINESS: The second factor that differentiates a good launch from a great one is the Readiness assessments. The Launch team should constantly look at the key milestones and the key success factors to assess status and expedite critical tasks if needed. PULSE ON COMPETITION: From the time, we start planning to the time we launch, there may be various development in the marketplace. The competition will also start taking defensive action against the new product launch, it’s imperative that we stay on top of the situation and take corrective action as necessary. FLEXIBLE LEADERSHIP: A Launch is fraught with uncertainties and ambiguous information. A team that can’t function in such a situation is an impediment to the launch success. Launch team should comprise of members who demonstrate flexible leadership that is not afraid to acknowledge mistakes and makes amendments on the fly. 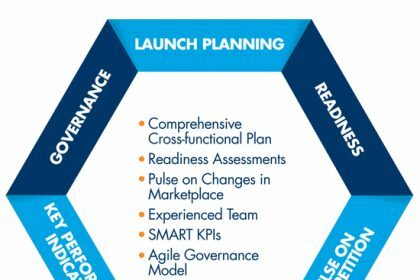 KEY PERFORMANCE INDICATORS: A successful launch defines SMART (Specific, Measurable, Attainable, Relevant and Time Based) KPIs upfront so that it is built into the plan and measured throughout the Launch. Once the product is launched, the KPIs are tweaked to make them relevant to the market performance of the product. GOVERNANCE: An agile governance structure ensures prompt decisions from the key stakeholders. Time is of the essence in a launch and having a rigid Governance can delay critical tasks impacting overall timelines and milestones. Engaging upper management in a regular launch specific forum to make Launch decisions is extremely efficient. Not every company has launch expertise nor needs to have it in-house. The key is to find the right partner who can not only tell you what to do but help you drive a successful launch.